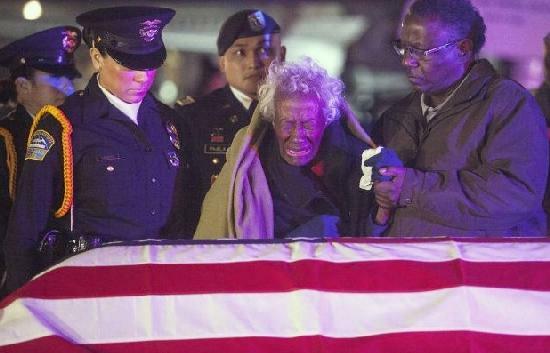 *On Friday morning 94-year-old widow Clara Gantt would finally be able to say goodbye to the husband she had not seen in 60 years. Sgt. First Class Joseph Gantt had been presumed dead after he was taken prisoner during the Korean war. He had been defending his unit’s position near Kunu-ri’ in December 1950 when it happened. He died as a POW in March 1951. Now, Mrs. Gantt is accepting her husband’s remains at Los Angeles International Airport in preparation of an honor guard ceremony.